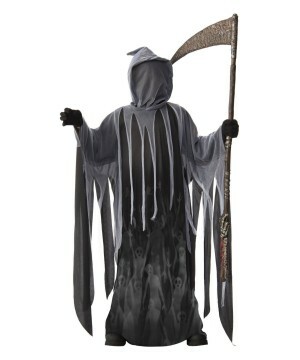 Costume includes Robe with Attached Hood and Face Cover. Available in size Large. 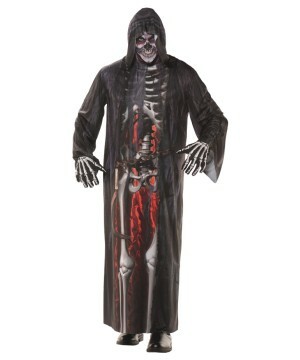 This scary costume is perfect for Spooky events such as Halloween! Prepare to take the souls of the dead and transport them to the afterlife. The grim reaper is an omen of death and if you see one, your time is coming shortly. 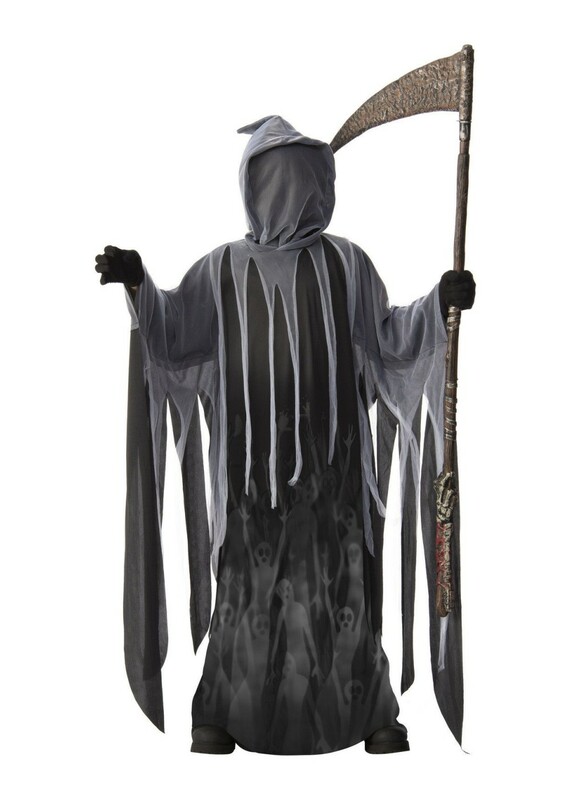 Review(s) for " Grim Reaper Boys Costume"